Once upon a time, getting married and starting a family was viewed as the ultimate commitment between two people. Nowadays, however, getting a joint mortgage is seen as more binding and serious than a couple of rings and one or more real, live human beings. Online Mortgage Adviser asked more than 2,000 British adults the UK’s 12 regions what they thought their biggest personal commitments, or commitment goals, were. The results were somewhat surprising, but make sense when you think about the changes in society in recent decades. In the poll, respondents had to rank a joint mortgage, getting married and having children in order of importance and seriousness – and almost half put the mortgage in the top slot. In the East of England, 42% felt that a joint mortgage was the ultimate commitment, while 41% of people in London agreed with this. In Wales, the North East and the East Midlands, people also saw joint property ownership as the biggest bind (in a nice way…). People in Scotland, the West Midlands and the South East saw marriage as the greatest commitment, while folk in Northern Ireland, the North West, Yorkshire & the Humber and the South West regarded children as the #1 sign of ever-lasting devotion. The people who said that a joint mortgage was their biggest commitment mostly explained this by claiming that sharing finances and investment involves a lot of trust. A fifth said that they believed that getting divorced was easier (and often cheaper) than getting out of a joint mortgage. 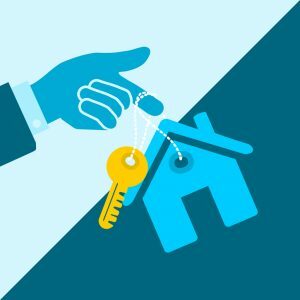 The realities of getting a joint mortgage are that people are tying themselves together for a long period of time, with the average mortgage term being 20 years. A mortgage has more legal and financial strings to it than a marriage, and putting financial resources into a joint investment has a more lasting effect than emotional investment.